Rockstar announced today the revival of yet another of their beloved gaming franchises. 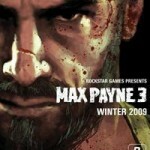 Max Payne 1 & 2 were fan favorites from last generation, and now Max Payne 3 will make its way to the Xbox 360, PS3 and PC. This game has been announced as an even darker and more cynical look into the psyche of Max and the character will have aged appropriately according to the time between game releases. No word yet on what the game’s plot has in store for the ex-detective but, if the last two games are any indication, it won’t be an afternoon picnic. No actual release date has been announced, but it appears as though the game is well into its development. 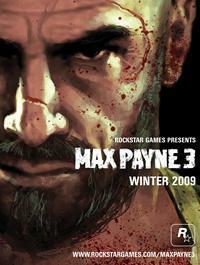 The announcement poster has it slated for “Winter 2009”.